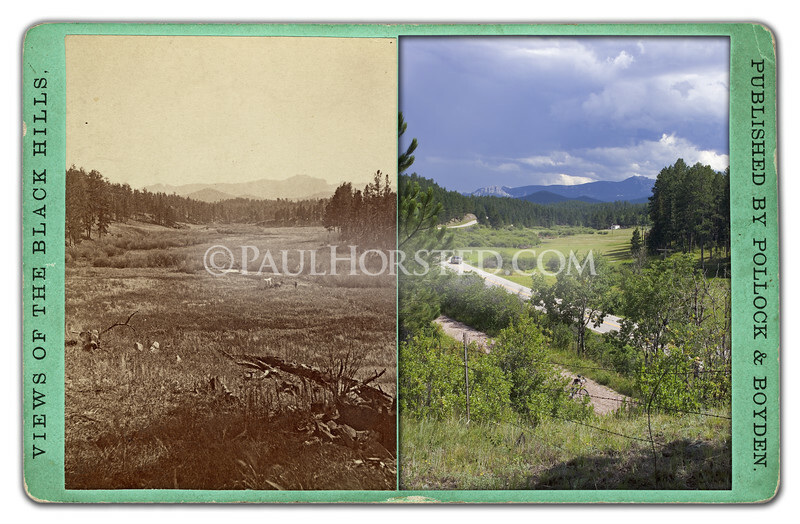 Pollock & Boyden view of Harney Peak (in distance) from an area known as Newton's Fork, circa 1880. Located a few miles west of Hill City, S.D. on the Deerfield Road. Former railroad line (not yet constructed in historic image) is visible in foreground, now the Mickelson Trail, a hiking and biking trail. Historic image courtesy Adams Museum & House. ©Paul Horsted, All Rights Reserved.